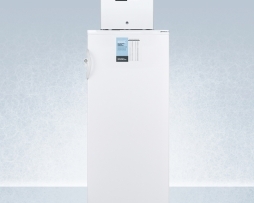 Summit FFAR10-FS24LSTACKPRO General Medical Refrigerator Freezer stackable design allows you to maximize limited floor space while enjoying the full storage convenience of an independent refrigerator and freezer with a measurement of 75.5″ H x 25.0″ W x 23.5″ D.
ABS ABT-MFS-20-C 20 cu.ft. 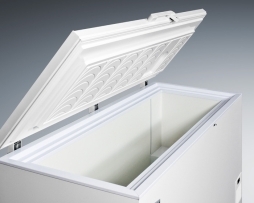 Standard Manual Defrost Laboratory Chest Freezer. Units come standard with mechanical thermostat. Warranty: 1/5; One year parts and labor warranty, plus an additional four year compressor parts warranty. Summit VLT2250IB Medical 24.8 cu.ft. 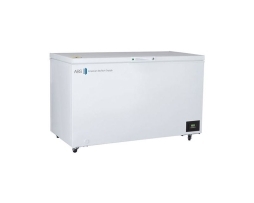 Low Temp Chest Freezer with -35ºC capable operation, with a high/low temperature alarm and digital controls that measures 32.0″ H x 85.25″ W x 31.5″ D. Laboratory chest freezer capable of -35º C (-31º F) operation. Summit VLT1750IB 18.0 cu.ft. 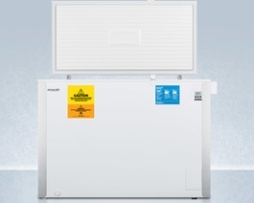 Medical Low Temp Chest Freezer with -35ºC capable operation, with a high/low temperature alarm and digital controls and measures 33.0″ H x 64.0″ W x 28.0″ D. Laboratory chest freezer capable of -35º C (-31º F) operation. Summit VLT1250IB Medical 16 cu.ft. 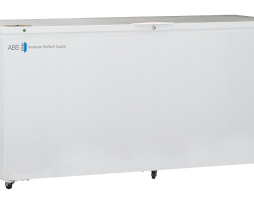 Low Temp Chest Freezer -35ºC capable operation, with a high/low temperature alarm and digital controls that measures 33.0″ H x 58.0″ W x 28.0″ D. Laboratory chest freezer capable of -35º C (-31º F)operation with dual blue ice banks. 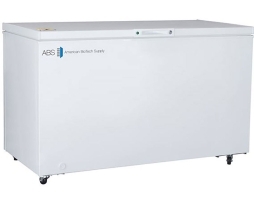 ABS ABT-MFS-15-C 15 cu.ft. 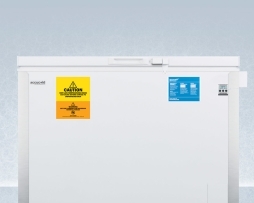 Standard Manual Defrost Laboratory Chest Freezer. 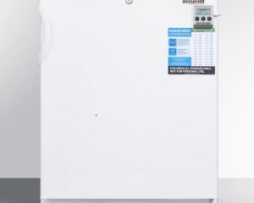 Units come standard with mechanical thermostat. Warranty: 1/5; One year parts and labor warranty, plus an additional four year compressor parts warranty. ABS ABT-MFP-20-C Premier 20 cu.ft. Chest Freezer. Units come standard with microprocessor temperature controller, Temperature display & Alarm module with battery back-up, audible and visual high/low temperature alarms, °C/°F convertible temperature display, remote alarm contacts. Temp Mapping, IOPQ and Extended Warranty options available, see Accessories for pricing. Warranty: 2/5; Two year parts and labor warranty, plus an additional three year compressor parts warranty. ABS ABT-MFP-15-C Premier 15 cu.ft. Chest Freezer. Units come standard with microprocessor temperature controller, Temperature display & Alarm module with battery back-up, audible and visual high/low temperature alarms, °C/°F convertible temperature display, remote alarm contacts. Temp Mapping, IOPQ and Extended Warranty options available. Warranty: 2/5; Two year parts and labor warranty, plus an additional three year compressor parts warranty. 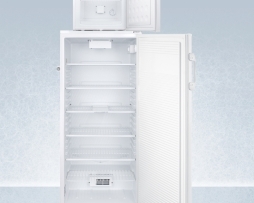 Summit VT85 9.0 cu.ft. 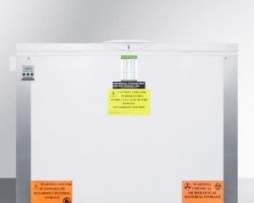 Medical Laboratory Chest Freezer -30ºC capable operation, with a high/low temperature alarm and digital controls that measures 33.0″ H x 46.0″ W x 24.0″ D. Laboratory chest freezer capable of -30º C (-22º F) operation. Summit VLT1750 Medical 18.0 cu.ft. 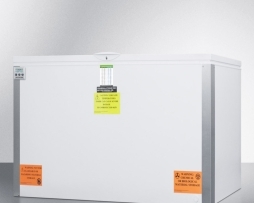 -35°C Low Temp Chest Freezer with -35ºC capable operation, with a high/low temperature alarm and digital controls and measures 33.0″ H x 64.0″ W x 28.0″ D. Laboratory chest freezer capable of -35º C (-31º F) operation. 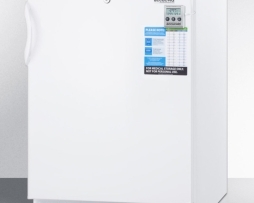 Summit VT65 3.5 cu.ft. 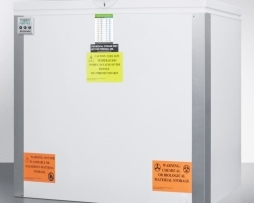 -30°C Low Temp Medical Laboratory Freezer with -30ºC capable operation, with a high/low temperature alarm and digital controls that measures 33.5″ H x 23.63″ W x 23.5″ D. Counter height laboratory freezer capable of -30º C (-22º F) operation. 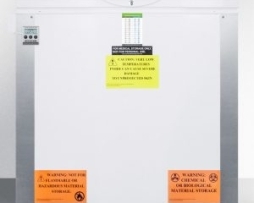 Summit VT225 Medical 22 cf -30°C Low Temp Chest Freezer with -30ºC capable operation, with a high/low temperature alarm and digital controls and measures 32.0″ H x 85.25″ W x 31.5″ D. Laboratory chest freezer capable of -30º C (-22º F) operation. Summit VT175 Medical 18.0 cu.ft. -30°C Low Temp Chest Freezer with -30ºC capable operation, with a high/low temperature alarm and digital controls that measures 33.25″ H x 66.75″ W x 28.63″ D. Laboratory chest freezer capable of -30º C (-22º F)operation. Summit VT125 Medical 16.0 cu.ft. 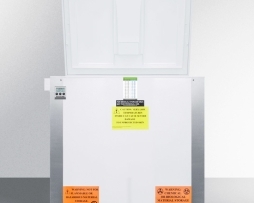 -30°C Low Temp Chest Freezer with -30ºC capable operation, with a high/low temperature alarm and digital controls that measures 33.0″ H x 58.0″ W x 28.0″ D. Laboratory chest freezer capable of -30º C(-22º F) operation. 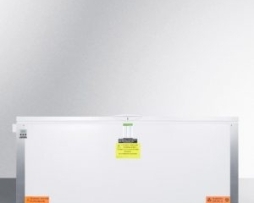 Summit VLT850 Medical 9.0 cu.ft -35°C Low Temp Chest Freezer with -35ºC capable operation, with a high/low temperature alarm and digital controls that measures 33.0″ H x 45.75″ W x 24.0″ D. Laboratory chest freezer capable of -35º C (-31º F) operation. Summit VLT650 Medical Laboratory 3.5 cu.ft. 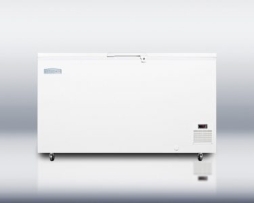 -35°C Low Temp Freezer with -35ºC capable operation, with a high/low temperature alarm and digital controls that measures 33.5″ H x 23.63″ W x 23.5″ D. Counter height laboratory freezer capable of -35º C (-31º F) operation. Summit VLT2250 Medical 24.8 cu.ft. 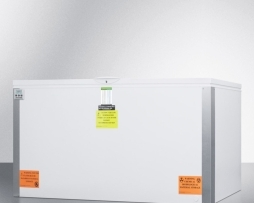 -35°C Low Temp Chest Freezer with -35ºC capable operation, with a high/low temperature alarm and digital controls that measures 32.0″ H x 85.25″ W x 31.5″ D. Laboratory chest freezer capable of -35º C (-31º F) operation. Summit VLT1250 Medical 16 cu.ft. 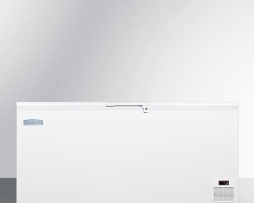 -35°C Low Temp Chest Freezer 35ºC capable operation, with a high/low temperature alarm and digital controls that measures 33.0″ H x 58.0″ W x 28.0″ D. Laboratory chest freezer capable of -35º C (-31º F)operation. Summit EL51LT 15.5 cu.ft. 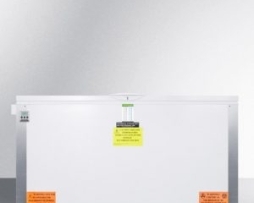 -45°C Medical Laboratory Chest Freezer made in Denmark with extra thick insulation for proper cold storage that measures 33.5″ H x 67.0″ W x 27.25″ D. Low temperature -45º C capable chest freezer with digital thermostat and 15.5 cu.ft. capacity. Summit EL41LT 12.8 cu.ft. 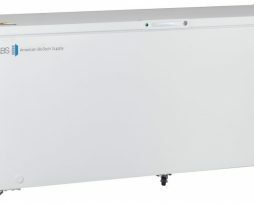 -45°C Medical Laboratory Chest Freezer made in Denmark with extra thick insulation for proper cold storage that measures 33.5″ H x 59.25″ W x 27.25″ D. Low temperature -45º C capable chest freezer with digital thermostat and 12.8 cu.ft. capacity.